Presents the nuts and bolts of management principles and it's designed as an alternative to basic core texts. Provides concise treatment of key concepts and issues. Appropriate for Soph-grad level course in principles of management as well as short courses in continuing education or executive MBA programs. 8. 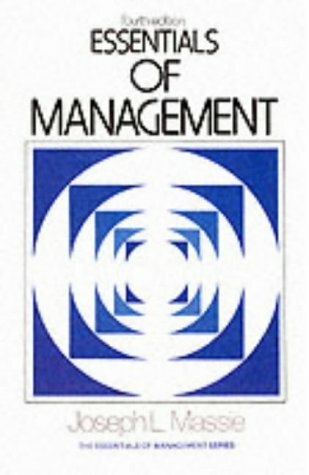 Essentials of Management (4th Edition) Massie, Joseph L.